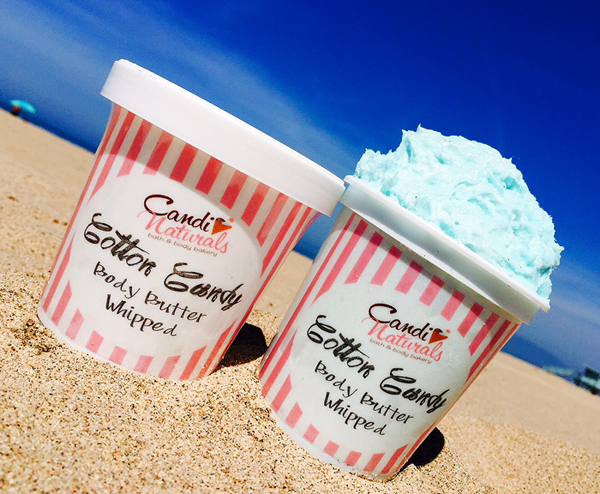 Our Cotton Candy Body Butter is one of our greatest creations of whipped shea butter, Vitamin E, and Tapioca Starch. 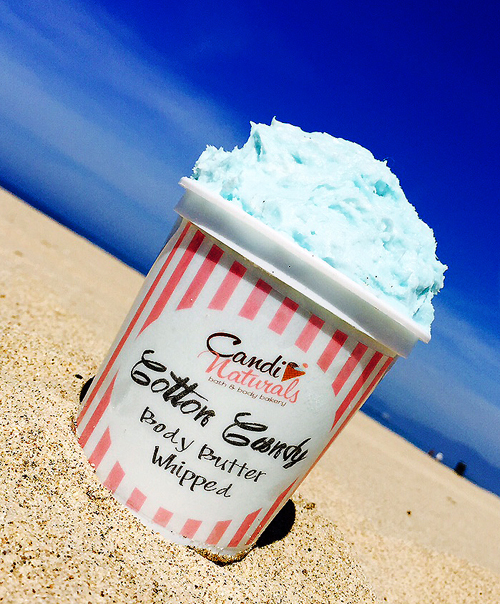 A yummy Cotton Candy cupcake fragrance is added with your choice of pink or blue butter! Choose option below! This butter has awesome benefits due to the great quality of Shea Butter, Vitamin E . It is a great healing of skin discoloring, dry skin, rashes and eczemas. Also great use for anti aging properties , blemishes and wrinkles. It also works great for skin allergies, sunburns, frostbit and various other skin conditions. Great for moisterizing skin in dry and cold climates!